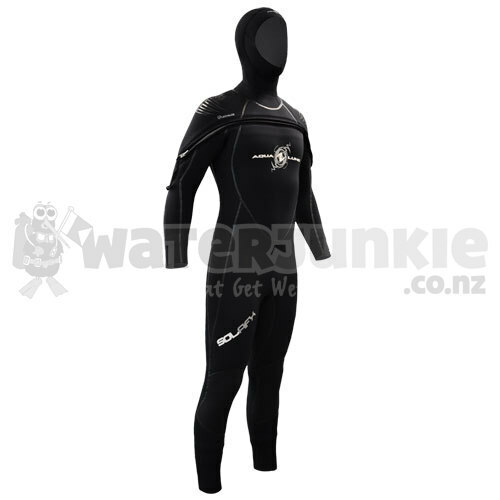 The SolAfx Suits are the secret to keeping warm on your dives. The SolAfx line is Aqua Lung’s most advanced suit line, with unique features like integrated hoods, internal arm and leg cuffs and many other designs to offer you superior comfort and warmth. The SolAfx suits come in an 8mm torso with 7mm arms and legs. The outer nylon material is resistant to abrasions and Velcro snags due to the tighter weave. This keeps your suit looking good!